Tim and Jim ask the question: Are the Lions actually better than last year? A look back at Free Agency and a look ahead to the draft. The Lions add to their running game, Lions replace field turf Tim and Jim discuss the new rules on Pass Interference, and how the media portrays our team. We answer the age old question...How will the Lions make the Super Bowl? What will it take? 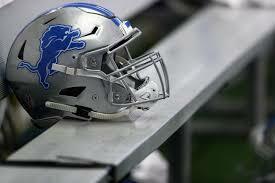 We also tackle the Matthew Stafford debate, is he the QB that will lead us to the promised land? Why hasn't he in 10 years? We answer that question too. Loaded episode...don't miss it!!! Tim and Jim talk about what PFF says about our current free agent class. Are we really better than last year? Tune in and find out!!! Tim and Jim talk free-agency, the draft, the new additions, the salary cap implications and much, much more!! !